When patients come to us they usually ask one of two questions: “When can I be out of pain?” or “Can You Fix Me?” While these may seem like the same question in our office they have very different answers. This will not correct the underlying cause of the problem. While it is ultimately up to the patient to continue their treatment, ending care after pain relief will be temporary and will not work to correct the problem. We usually recommend further treatment to help patients get to a better state of health. 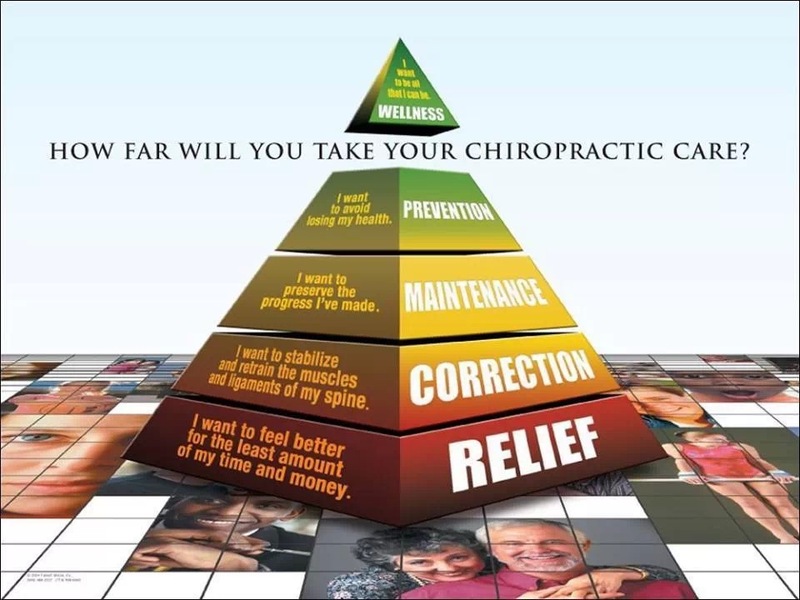 Once we get a patient out of pain the real work toward health begins. Think of a house that has been standing, but has some foundation issues that is affecting the balance and safety of the whole structure. During the pain relief stage we have fixed the most immediate problems, but there is more to do to get the structure stable and functioning again. So it is with the body. In most cases it will take between one and two years to get the body to a point of maintenance and health. You didn’t get injured and sick overnight and the recovery and rehabilitation will not happen overnight either. During this phase ofcorrective care our focus is stabilizing the structure and muscles, correcting the structure, retraining and strengthening the body to hold itself in the correct state. Regular chiropractic adjustments continue. People often misunderstand why so many adjustments are necessary. The truth is that the body is used to holding itself in the wrong state and wants to return to that state. If you have ever know a person that has had braces, the processes are very similar. 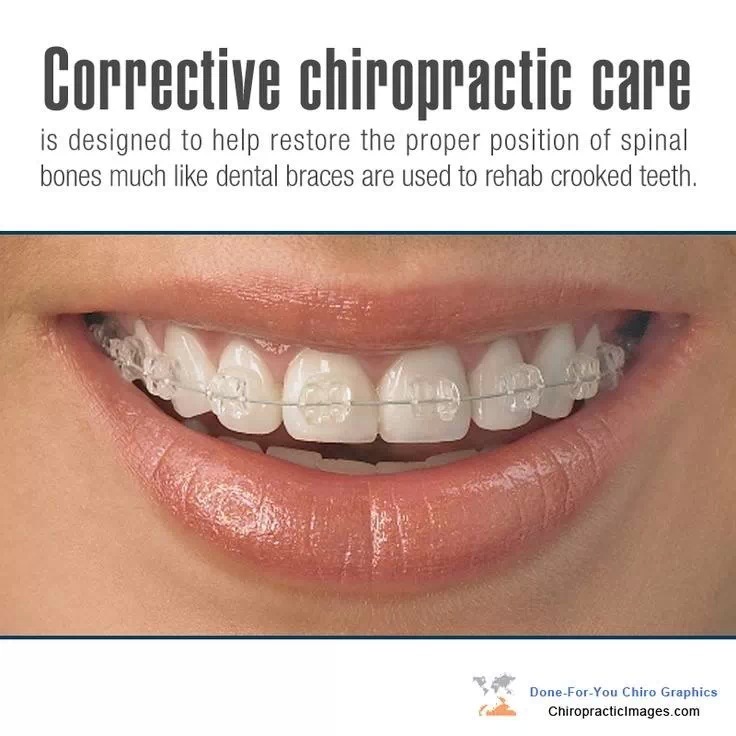 Once the braces are on, patients have periodic adjustments to allow movement and correct the alignment of the teeth. It is the same with the spine. A big part of stabilization is the muscles, so in addition to keeping the structure of the bones aligned, we work with massage therapists to retrain and reeducate the muscles. Our Licensed Athletic Trainer offers each patient an individualized rehabilitation exercise program to strengthen the core and other injured muscles. We work with Denner Roll products and Chiropractic BioPhysics to rehabilitate the curvature in the spine. For people with disc injuries or bulging discs we also offer spinal decompression to work the discs back into space and nourish them through movement. Over time, we can gradually lessen the number and frequency of visits because the body is holding the correct position longer and longer. Many people are put off by the comment “Once I start going to the chiropractor, I have to go for life.” The truth is our bodies fight physical, emotional and chemical stress every day and it takes its toll. So over time, this stress will wear the body down. We can help fight this stress by continuing periodic adjustments to keep the structure balanced. In the similarity with the braces analogy, when orthodontic patients have the braces removed, they often wear a retainer to keep the teeth in the proper position. With the house analogy, it needs maintenance to keep the structure, safety and appearance. So many times chiropractic patients that get to this point in their care often understand the need for periodic check-ups. We call this wellness or maintenance care. Chiropractic is more than just pain relief. It is about helping the body get to a state of health and keeping individuals in a state the can fight the stresses of everyday life. If the body is healthy enough to fight the stress, it allows the person to do activities they want to do and to live a growing, expanding, flourishing life. When the body is fighting dis-ease and a state of un-health, it takes away energies from these activities. Our goal is to see our patients and their families living their lives, not simply surviving.